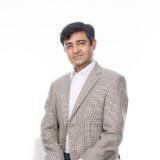 Nelm Khangura is Vice President, Enterprise Procurement Group at Loblaw Companies Limited. Loblaw Companies Limited is Canada’s food and pharmacy leader, with a network of corporate and independently operated stores in communities across the country, employing close to 200,000 Canadians with annual revenues exceeding $45 billion. 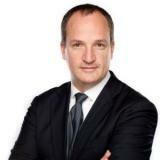 Nelm joined Loblaws in 2005 and has become a proven leader in the organization with wide-ranging retail experience. She has had involvement in various functional areas including Supply Chain, Operations, Merchandising, Mergers & Acquisitions and Procurement. Her strategic and innovative approach to problem solving along with her drive to see things through to completion has enabled success in her career. Nelm’s strong interpersonal skills and ability to collaborate and build positive partnerships across all levels and functional areas affords her the ability to garner support and alignment when required. Nelm holds a Master’s Degree in Business Administration (MBA) and a Bachelor’s Degree in Mechanical Engineering (B.Eng.) from McMaster University. 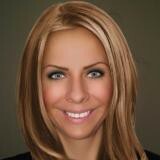 She is based in the Greater Toronto Area. Wael is a UK global chartered procurement and supply chain fellow, who led and delivered award-winning procurement transformation programs and global SAP/Ariba implementations. He had a distinguished career over the past 22 years, holding various senior roles as a Head of Procurement for some of the global fortune 500 companies back in the UK, Asia-Pacific, North Africa and the Middle East. He got solid expertise in both direct and indirect spend categories with transferable skills across a number of industries including; Oil & Gas, Retail, Real Estate, and Properties Management. Wael was recognized for his global dedication and contribution to Procurement, Supply Chain profession. He is a key contributor to the establishment and growth of the Chartered Institute of Procurement & Supply (CIPS), UK across various countries. He represented the CIPS institution in the capacity of Chair of Canada Branch. 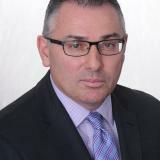 He also joined Supply Chain Management Association Ontario (SCMAO) Board of Directors in 2015 and chaired the awards committee. In 2016 he received SCMAO Board of Directors Leadership Award for promoting Procurement & Chain across Canada. 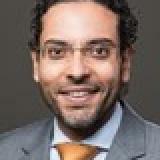 Senior lecturer for procurement and supply chain and also a frequent keynote speaker at conferences and industry forums, including executives and CPOs roundtables .Wael released a number of publications in the UK, Africa , Middle East and North America. 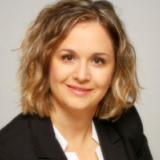 Vice president, Procurement and Administrative services for Desjardins, the largest cooperative financial group in Canada, Nadia has more than 20 years of experience in the procurement sector, she has worked for organizations such as Bell Helicopter, CAE and Cirque du Soleil. She holds a Bachelor in Business Administration, she is a Certified Management Accountant (CMA) and also a Six Sigma Black Belt. 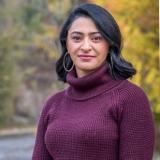 Nadia has a strong experience in Strategic Sourcing, negotiating, contracting national and international agreements, establishing and deploying procurement policies, implementing P2P systems and travel management. Throughout her career she has distinguished herself by her leadership and her ability to deliver the results to achieve the objectives. As a team player and a manager close to people, she embodies the Desjardins values. 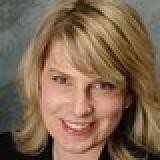 Carrie Uhl was named Vice President of Purchasing and Supply Chain for the Americas in July 2010. In this position, Uhl is responsible for coordinating the supply chain function across Magna International’s North and South American operations and ensuring consistent and strategic approaches to supplier selection, category management, and supply chain risk evaluation. 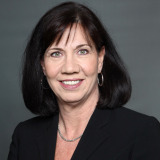 Uhl joined Magna in 2005 as Commodity Manager for Magna Exteriors and Interiors, where she set strategy and negotiated agreements for plastic resin, the operating group’s largest purchase category. She has progressed through positions of increasing responsibility within the purchasing function, including Global Commodity Manager for Magna International and then also Director of Purchasing for Magna Composites. Prior to joining Magna, Uhl held purchasing positions at both Lear Corporation and Guardian Industries. Uhl earned a Bachelor of Science degree in Human and Organizational Development from Vanderbilt University in Nashville, Tennessee. 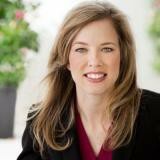 She serves on several automotive industry councils and committees. In 2015, Uhl was named by Automotive News as one of the 100 Leading Women in the North American auto industry, and she was also included in its 2016 class of Rising Stars for automakers and suppliers. Since 2015, as Senior Vice-President, Corporate services for BCE, André Beaulieu is responsible for an $8B procurement portfolio, one of the largest in Canada, and the Value Creation team who leads all major restructuring initiatives as well as the integration of all BCE acquisitions. He is also in charge of Real Estate operations and Corporate Security -- including cyber-security, for BCE. Between 2012 and 2015, André served as Senior Vice President for Wholesale, a business unit forces serving 700 telecommunications customers in 180 countries. 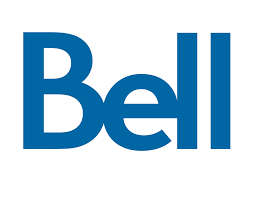 During the same period, he was President of BCE Nexxia, the entity that owns and manages Bell’s network in the U.S. Between 2007 and 2011, André has occupied a series of executive functions, including VP Corporate Strategy. Before joining Bell, André was a strategy consultant with A.T. Kearney and Bain & Company in Paris and Boston. His main areas of client service were in private equity investment on the buy side and strategy for large technology companies. Previously, André has worked with the Privy Council Office of the Government of Canada and the United Nations Conference on Environment and Development. Born in Québec City, André received both his BA (Honours) and his B.C.L/LL.B from Montréal's McGill University. 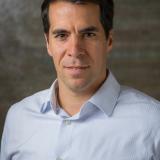 An active member of the community since his return to Montreal in 2007, he sits on the boards of Equitas, CORIM, the Montreal Children’s Hospital Foundation, Global Canada, the Public Policy Forum and the Azrieli Foundation (Audit committee). 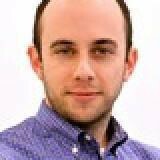 He is also a co-founder of the Banff forum. Shauna Gamble joined the Danby Group as the VP, Global Operations in 2015. Shauna’s key responsibilities include, developing and managing the Company’s Product Management Team, Research & Development Teams, Consumer Service and Reverse Logistics, the Supply Chain Organization and the Danby Asia Group. Shauna’s previous role was at Ciena Corporation, as the Vice President, Global Supply Chain Operations & the Executive sponsor for Corporate Social Responsibility. She was responsible for the procurement (direct and indirect), manufacturing, distribution, planning, contracts and product support and services of Ciena products to customers. This role required often interaction with Sr. Executives of both Ciena’s customer and supplier base. Ciena’s annual revenue was 2.4 Billion. Ms. Gamble was previously the Executive co-leader of Nortel’s Global Women’s Business Council. Shauna contributes her time to lectures at the University of Ottawa fourth year Business Majors. 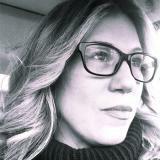 She has been invited to speak at MSCO in Shanghai China, the TIA Conference with the President of Operations and Fleet Mgmt ATT in Washington, SCM World in San Francisco and WeConnect as a Corporate Sponsor, Toronto. As Vice-President, Supply Chain Management, Marc is accountable to lead end-to end-sourcing, contracting, procurement and materials management activities for all external goods and services required by Cenovus. His mission is to drive cost leadership, maintain safe and reliable operations and foster supply-chain as a competitive differentiator for Cenovus. Prior to joining Cenovus, Marc held Senior Leadership positions in Bombardier Aerospace, The Lafarge Group and AGT International, leading commercial teams in over 50 countries of North America, Asia, Europe, the Middle-East and Africa. He was also Managing Director of Lex Et Mercatur GmbH, a consulting firm in Switzerland developing commercial strategies for Industry leaders. A licensed attorney and expert witness in aerospace contract litigation, Marc obtained a Master of Business Administration degree from McGill University and a law degree from Ottawa University. 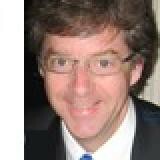 He is a member of the Quebec Bar Association since 1995. 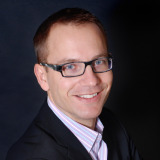 Vitold is the Capgemini Americas Chief Procurement Officer, responsible for all categories: IT and Telco, External Resources, Training, Professional services, Travel and meetings. Previously, Vitold was the Capgemini Travel Director hosted within the Global Procurement organization. Before, amongst other roles at HP, he has managed the worldwide hotel and card programs. In 1999, he joined HP in Belgium, working for the Finance department after his national service at the French Embassy in Rome. Vitold has a true passion for innovation and for the sustainable growth topics. Vitold holds a master degree in Applied Economics, with a major in Banking and Finance, and a master degree in Economics Modeling. He is based in Montreal. John heads Hatch’s procurement and contract management effort globally across five regions, and is in the process of transforming procurement function from transactional to strategic through improvement of efficiency, governance, value generation and sustainability. Before joining Hatch, John was the Procurement Functional Head at SNC Lavalin where he was responsible for the governance, functional development and value optimization of procurement with an average annual spend of $7 billion. John also had a success in transforming BC Hydro’s Procurement capabilities to respond to the needs of anticipated major capital investment. 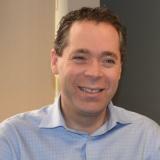 John has an MBA from the Schulich School of Business at York University. 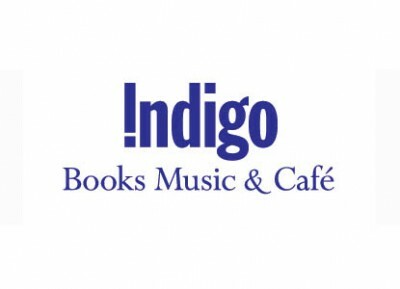 Before joining Indigo, Jonathan Rosemberg spent time at Walmart Canada spearheading several key transformational projects, like the creation of the Walmart Media Group and interchange fee negotiation. 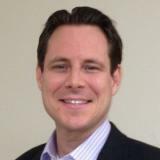 Jon also spent 4 years at Sears Canada leading cost optimization turn-around efforts, including several business process outsourcing projects. Prior to that, he resided in Venezuela, where he worked with Procter & Gamble, led operations for Confecciones Paramount, a menswear manufacturer, and started a marketing consulting business servicing large consumer packaged goods and telecom clients, like Diageo and Movistar. 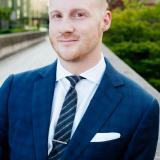 Jon has an MBA from Cornell University, a Bachelor of Arts in Political Science from McGill University and a post-graduate degree from the Fashion Institute of Technology in New York. Manny Satija was appointed Global Director, Strategic Sourcing at CSA Group on November 14th 2016. As the Head of Procurement for CSA Group, Mr. Satija is focused on building a globally integrated procurement organization with responsibility for sourcing activity across 14 Countries in 37 cities covering North America, Europe and Asia. Prior to joining CSA Group, Manny spent 14 years with IBM in various procurement leadership and global transformational roles. 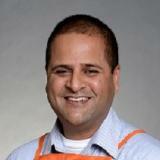 His sourcing experience centers around indirect procurement and outsourcing. In addition, he has proven experience leading on-site and remote teams delivering sourcing savings, supplier governance and transformation for clients. Manny’s experience in procurement transformation is focused on spend analytics, technology, contract governance, alignment of sourcing strategies, stakeholder assessment and implementation of operational efficiencies. 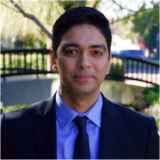 Prior to working for IBM, Manny spend a few years gaining experience in the Financial Services Industry working for RBC Financial Group. Manny holds a MBA and BBA from the Schulich School of Business(York University), and has participated in an International study abroad program with the University of Bath in England. John Castelhano is a charismatic, passionate and collaborative procurement professional with over 25 years of global sourcing and supply chain management experience across a number of different industries: wholesale, retail, custom manufacturing, project management and real estate services. John has had the tremendous great fortune of travelling extensively across the globe during his career and built strong sourcing teams in NA, Asia and Europe committed to driving lasting savings programs, increase value and accelerating speed to market. John is a recently certified Change Management Practitioner from Prosci, has a deep understanding and of the Lean, CI (Continuous Improvement), Six Sigma tool kits. His focus over the past 6 years has been with BGIS in the real estate services category providing leadership to a team of over 80 procurement professionals. In 2013 ,the BGIS procurement team launched a Sourcing Transformation initiative to improve their sourcing operations, vendor management and overall procurement as a service value proposition. The team is highly engaged and are aligned to the vision of being the most effective global sourcing team in the corporate real estate industry. 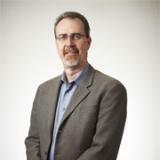 Jeff van Geel, sourcing manager, joined 3M Canada in 2005. He began his 3M career as a print consultant as part of a six sigma black belt project. He became sourcing manager in 2006 and is responsible for overseeing procurement, accounts payable and package engineering for the entire 3M Canada supply chain. 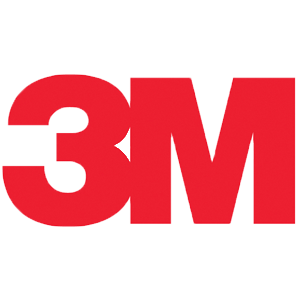 Prior to 3M, van Geel worked for 15 years in IT for Canada Trust. Van Geel graduated with a Master of Science degree, majoring in information technology, from the University of Liverpool, United Kingdom. He lives with his wife, Sylvie in London, Ontario and enjoys mountain biking, squash and volunteering. 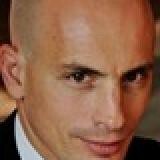 Dimitrios is a Senior Director, Strategic Sourcing & IT at The National Bank of Canada with over 15 years in the telecom, banking and financial services industries. He is an effective change agent in building and executing blue prints to centralize and transform procurement towards value creation organizations. 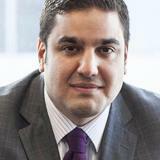 Dimitrios holds a Bachelor degree in Economics and Masters in Business Administration from Concordia University. He also has a designation from the Institute of Corporate Directors where he is a board member for a Not For Profit organization assisting the community and underprivileged. 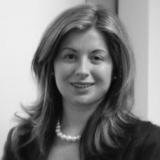 Sanja Cancar-Todorovic is a Director – BPO Outsourcing and Vendor Management at TELUS. Over the last 17 years of her career in the telecommunications industry, Sanja had exposure to a number of different roles. Since 2008, she has been leading different Procurement and Vendor Management strategies, from IT Professional, Managed and Infrastructure Services, to Broadcasting Media Content, M2M, Corporate Real-estate, Visual Media, and Mobile Handsets & Accessories. 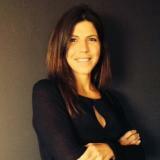 In her current role Sanja manages the integrated BPO and ITO solutions, with different third-party service providers. She is responsible for Contact Centre Outsourcing, Vendor Management, site strategy, geo-centric resourcing strategy, negotiating full range of commercial contracts, leading operationalization of overall vendor governance and contractual compliance. Michele Thompson is Global Director, Sourcing & Procurement and Global Head of Supplier Diversity for Thomson Reuters, an information services company and leading source of intelligent information for the worlds businesses and professionals. Thomson Reuters delivers insights to the financial and risk, legal, tax and accounting and media markets, powered by the world’s most trusted news organization. Thomson Reuters has over 45,000 employees, is located in over 100 countries and has annual revenues of $12 billion. 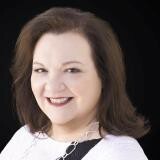 Michele began her career at Thomson Reuters in 1995 and has held a variety of roles in Sourcing, Procurement Operations, Supplier Management and Finance. She has sourced a variety of commodities in complex settings including global and virtual environments, acquisitions, divestitures, major reorganizations, off shoring and outsourcing. Creating a centralized purchasing function at the divisional level for her company. She assembled the purchasing team and constructed all policies and procedures including the design, implementation and deployment of the Purchase Order system. She also led the teams that delivered all companywide communications, change management and training to employees. Lead many large global capital projects in excess of $50 million per year. Successfully created and implemented her company’s first Supplier Diversity Program stressing the importance of diversity and inclusion within the sourcing organization as well as the company as a whole. Michele is a member of the Michigan Minority Supplier Development Council and Great Lakes Women’s Business Council. Council of Supplier Diversity Professionals and is a Certified Professional in Supplier Diversity. Michele serves on the board for the Institute for Supply Management Southeast Michigan affiliate and is active in the community where she resides in Michigan. Ankur Thakur is an accomplished Senior Business Management and Operations Leader, with extensive global experience and successful track record in Strategic Supply Chain/ Strategic Sourcing/Procurement excellence, Operations and Program Management (PMP certified). He is specialized in identifying and executing cost reductions opportunities (Includes creating and leading cost reduction task forces), within quantified/ measurable timeline. 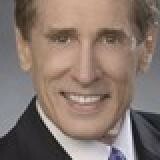 Prior working experience in Process/Manufacturing Engineering, Business Development and Program/ Portfolio Management, has enhanced his knowledge of each and every aspect of the cost elements and respective attributors, thus facilitating effective and successful business negotiations & cost reductions throughout his career. His expertise also includes planning, creation, execution and management of Corporate Supply Chain, Global Procurement and Strategic Sourcing Strategies. 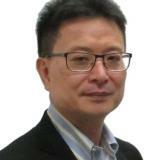 He is highly experienced in working as global key interface in both Vendor/Supplier Management (at Tier1 ODM, OEM, EMS and System Integrators), Customer Relationship Management, managing C+ level business relationship as well negotiating high value contracts, directly with the key decision makers. 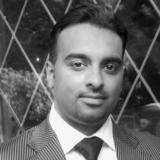 Ankur is highly experienced in managing and executing supplier compression /consolidation including identifying global footprint, supplier assessment, executing RFXs, cost effective /complex project tech transfers, analysis and execution of sourcing/reverse sourcing, New Product Introduction, inventory management, Supply and Demand Planning, Reverse Logistics, 3PL, Forecasting improvement, Transportation and Warehousing (hub). 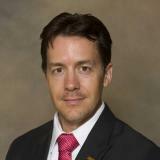 He is fully fluent in Spanish (as a result of having lived and worked in Guadalajara, Mexico for many years) and also has the privilege to work with multiple cultures by managing cross regional Global Supply and Customer base including (i.e., Far East, Europe, Asia, North and Latin America). Ankur is looking forward to attend ProcureCon Canada 2018 and meet wonderful and talented people at the conference. 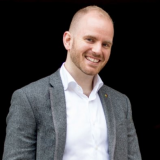 Joseph Souaid currently leads the Procurement function for Keurig Canada, a personal beverage system company that has revolutionized the beverage experience through the power of innovative technology and strategic brand partnerships. In the last 4 years Joseph has overseen a number of strategic initiatives including the deployment of Supplier Relationship Management (SRM) and Complex Negotiations programs. He is now working on a next generation agile Procurement model to enhance supplier collaboration and innovation for the company. 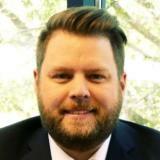 Previously he worked in a variety of procurement and supply chain roles in the airline and aerospace industries. 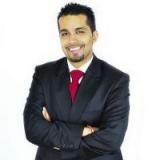 Joseph is a Six Sigma Black Belt and has worked abroad in Panama, Mexico and Spain. 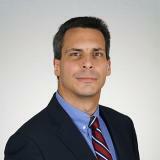 Pierre Mayence has 10+ years of experience in Strategic Sourcing, Project Management and Process improvement. He has led complex projects for leading organizations in several industries such as CPG/FMCG, Food industry and Finance, in North America and Europe. He managed international strategic categories, developed new products in collaboration with Marketing departments, sourced direct and indirect goods and services. Pierre has been a key player to transformational sourcing initiatives for manufacturing and services companies, engaged in projects related to Governance, Category Management, eSourcing, SRM and Spend Management. He holds an MBA from Stockholm University, a Master’s Degree in Strategic Sourcing & Innovation from KEDGE Business School and he is a certified Project Management Professional (PMP). He is the founder of Blockchain & Strategic Sourcing, a professional group focused on innovation through Blockchain technology across the supply chain. Jeff Russell is in his 14th year as the Director of Procurement for Crane Supply – a Canadian national wholesaler/distributor of pipes, valves and fittings. He has 21 years’ experience in Procurement/Supply Chain Management, having previously worked with such companies as Honeywell ES&S (Aerospace), Pratt & Whitney Canada, ABC Group of Companies (Tier 1 Automotive) and NPB-Melville Software (now Tyco Healthcare). 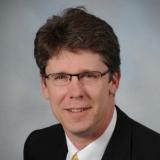 He currently holds professional designations with Supply Chain Management Association of Canada, the Institute of Supply Management in the United States, the Chartered Institute of Purchasing and Supply, and the International Federation of Purchasing and Supply Management; holds two University degrees from Carleton University, and an Accounting Diploma from Algonquin College. In his currently role, he oversees a direct material spend of $145M and all supply chain initiatives, global sourcing initiatives, and logistics and Canada Customs for all in-bound material. Personally, he currently resides in Toronto with his wife Naomi and their two children, enjoys playing hockey in the winter, golfing in the summer, boating around the Toronto harbor front and the when the opportunity strikes itself, the martial art judo. 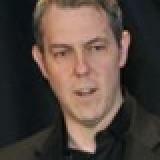 Robert has a strong passion for procurement spanning 22 years. Leading a dynamic procurement team at Elections Canada and responsible for the purchase of anything from complex IT solutions to ballot paper, boxes and pencils used during the election. Prior to this, Robert occupied positions with the National Capital Commission and Canadian Air Transport Security Authority. Robert was instrumental in revitalizing Elections Canada’s procurement function – transforming to a client-centric approach, strong procurement planning and recently supplier engagement focus. Robert is a champion for early engagement, doing things differently, creativity, being a conceptual thinker and energized by the increasing importance and future of procurement. For him, procurement rocks! 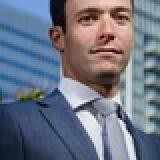 Stefane Belleau is Associate Vice President, Procurement and Real estate management for Laurentian Bank of Canada and holds the SCMP designation and is an MBA from HEC. His responsibilities include contract and procurement activities for the bank’s group of companies, including all IT contract and licensing, but also the real-estate and lease management, branch network and office construction and maintenance. His career includes procurement and supply chain and operations responsibilities, including contract, capital budgets, fleet and real-estate management, and achievements in the telecommunication, financial and manufacturing sectors. 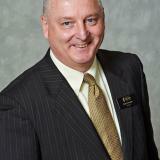 He has held management positions for the last 17 years, at Teleglobe, Cogeco Cable, Intact and Laurentian Bank. He has occupied several positions as a volunteer within PMAC, at district and national. A highly versatile Public Service Executive, Speaker, Professor, Youth Advocate, and Digital Transformer engaged in building future leaders, Emilio has dedicated his career to leading and supporting projects that modernize government and make procurement awesome. 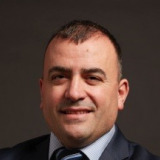 Emilio is currently the Senior Director of Procurement Business Modernization at Public Services and Procurement Canada, where he leads a number of complex transformation initiatives to modernize the Government of Canada’s procurement operations. In addition to his dedication to the field of procurement, he has worked to support the advancement of Cloud, Social Media, Web 2.0, Open Government, and other digital services in government. 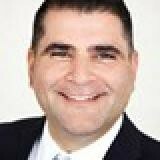 Emilio holds a Masters in Electronic Business Technologies and Bachelor of Commerce from the University of Ottawa. He also teaches part-time as a professor of Public Sector Procurement in Algonquin College's Bachelor of Commerce in e-Supply Chain Management program. 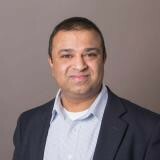 Munish Dhanker is the Director of Category Management for Corporate & Professional Services, Travel and Marketing at OpenText, the leading Canadian software products company. With over 15 years of experience in IT, Telecom and Consulting organizations, he is currently spearheading a Procurement Transformation initiative to establish a results driven Strategic sourcing and Category Management organization. 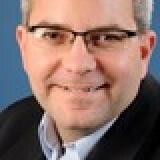 Additionally, he is leading the implementation of a Global Contingent Workforce program. He is a returning speaker at ProcureCon Canada and is passionate about elevating the role of Sourcing and Procurement to a strategic business partner that delivers real value to the organization. 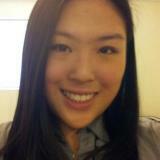 Carol Ngai is a Vendor Supply Chain Analyst at Holt Renfrew. 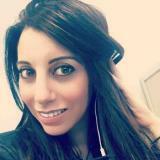 She works closely with vendors to ensure compliance with governmental regulations and company guidelines. In her career thus far, she has experience in fashion retailing and CPG manufacturing/distribution. 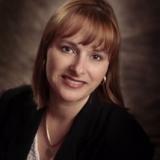 Graduating from Wilfrid Laurier University, Carol holds an Honours Bachelor of Business Administration degree concentrating in Supply Chain and continues to pursue a career in this industry. 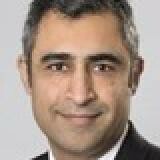 Azam Dawood is the Head of Technology Procurement for the BMO Financial Group and has been in the procurement space in North America for over 15 years. Having built Strategic Sourcing organizations at multiple large institutions and also having negotiated over 150 procurement, outsourcing and M&A agreements, Azam is well versed in the opportunities and challenges facing the procurement world today. His articles have appeared in numerous publications, including Outsource Magazine and the Huffington Post. Azam holds a Chemistry and Chemical Engineering degree from McGill University and an MBA in strategy from Warwick Business School. 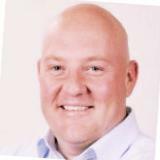 Jason is a Business Partnering professional in the life sciences industry with eighteen years of experience with progressive roles in Sales, Marketing and Procurement successfully generating insight and leading teams. Jason has worked for Bayer for over 16 years and is currently working as a Manager, Marketing Procurement, where he leads a sourcing team that is responsible for advising businesses and managing projects to create and protect value for Bayer within the marketing services area. 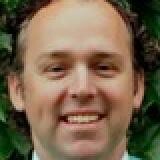 Stephen P. Goulding is General Manager, Corporate and Travel Trade Sales, WestJet Airlines. Since joining WestJet in 2006, Goulding offers expertise in Travel and Tourism industry verticals, with emphasis on sales and marketing related disciplines. As an advocate of consultative selling, client need analysis, customer experience and engagement; Multinational and Global clients for nearly 20 years have benefited from his strategic account management focus. 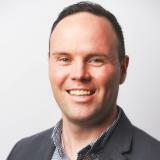 Prior to his current position, Goulding has held various leadership and governance roles within Budget Car Rental, WebFeat Multimedia, Tourism Hamilton, and City of Hamilton and has a proven track record of leading business development strategies that consistently deliver value and results to organizational objectives. 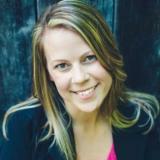 Goulding attended McMaster University in Sociology and Psychology and is a CPSA, Certified Sales Professional. 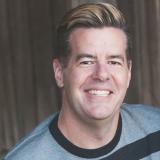 Darrell is the co-founder and CEO of the Canadian Gay & Lesbian Chamber of Commerce, a national not-for-profit organization with a mission to expand the economic opportunities and advancement of the LGBT business community in Canada. Timothy Nordin is a Founder and Managing Partner at OPTIS Consulting, a specialized management consulting firm that focuses on source-to-pay strategy, implementation, and adoption. He specializes in leading teams on advisory projects as well as full suite source-to-pay implementations across all industries, both in the public and private sector. 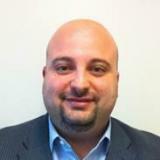 Panos Kelamis is a Director – Network Value Organization for SAP Ariba in Canada. Panos runs collaborative engagements with organizations to create differentiating business capabilities, new business models, and drive incremental economic value, enabled by digital innovations across procurement. Prior to joining SAP Ariba, Panos had various roles and responsibilities driving digital transformation with SAP’s Industry Value Organization and SAP’s Private Equity Team. Kathy Cheng is President of WS & Co., one of Canada's leading full-service apparel manufacturers, and the founder of its in-stock promotional apparel line, Redwood Classics Apparel. In addition to producing past Olympic apparel programs, Cheng’s high-quality apparel can be found at upscale, internationally renowned retailers across North America. With a growing presence in Japan and Europe, WS & Co. has combated offshore competition, putting Canada on the map as a leading destination for premium apparel manufacturing. A longtime champion of North American manufacturing, in 2016 Cheng received two honours that recognized and celebrated this fact: she was selected as a Supplier Woman of Distinction by the Advertising Specialty Institute® (ASI) and named to the MBE’s Who Rock list by Minority Business Entrepreneur Magazine. The recipient of CAMSC’s 2015 Supplier of the year award, Cheng was also one of three Canadians inducted into the 2014 EY Entrepreneurial Winning Women program. In 2013, she was named as one of Canada's Most Powerful Women: Top 100 Award winners. Finally, Cheng focuses on paying it forward to the next generation of Canadian designers with her role as a mentor and member of the Board of Directors for Toronto Fashion Incubator (TFI). 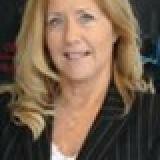 Joy Nott is President of the Canadian Importers and Exporters Association (I.E.Canada). 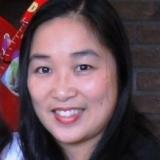 Joy brings over 30 years of experience in customs compliance to the I.E.Canada team. Joy started her career in Montreal and worked for over 10 years for well known customs brokers/freight forwarders giving her hands on operational experience. Prior to joining I.E.Canada, Joy was a Vice President and Managing Consultant for JPMorgan Global Trade Management Services based in the Toronto, Ontario area and specialized in matters of customs and international trade for both Canada and the U.S. based clients. Prior to the above, Joy spent a number of years developing her expertise employed as a Senior Manager with public accounting firms of KPMG LLP and Deloitte & Touche LLP as a Customs and International Trade consultant. The accounting firm environment provided her with extensive experience related to advising multinational clients in terms of meeting import and export requirements while minimizing costs. Her experience with professional tax and supply chain advisers has given her a background rich in understanding how customs and trade issues play an important role in developing corporate strategies. Her experience in advising how matters such as income tax transfer pricing and customs valuation fit into complex international restructuring plans have been key to her success as a consultant. Joy sits on various committees as advisors to Federal Ministers and has testified before both the House of Commons and Senate Committees on International trade on matters directly impacting Canadian importers and exporters. Joy’s credentials include a Bachelor of Arts from Concordia University in Montreal, Quebec in 1987. She later sought and received honours when writing for her qualified customs brokers’ status in 1990. In 1993, Joy gained her professional customs brokerage status. In 2011, Joy gained her P.Log designation (Professional Logistician). Jamie Crump is President of The Richwell Group, a consulting and coaching company for Fortune 500 and small and diverse-owned business in the areas of strategic sourcing and supplier diversity. Jamie has been a thought leader in both areas for over 25 years in a variety of industries including banking, telecommunications, IT, pharmaceutical, welding & medical, and heavy equipment rental. She was most recently Director of Strategic Sourcing and Supplier Diversity for United Rentals, Inc., where she developed the team and strategy for indirect sourcing and an award-winning supplier diversity program. 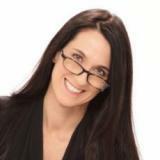 Jamie is a frequent speaker and writer for and at sourcing and diversity events throughout the United States and Canada. She is a charter Advisory Board member for ProcureCon and serves as an advisor for Spend Matters and Diversity Professional. 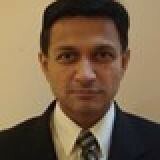 Sunny Manivannan is vice president of product marketing at Coupa Software. 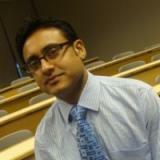 Prior to Coupa, Sunny was the founder and CEO of ZenPurchase, an enterprise e-sourcing solution. Earlier in his career, Sunny was a management consultant at McKinsey & Company and an aerospace engineer at General Electric. Sunny holds a BS in mechanical engineering and mathematics from Worcester Polytechnic Institute and an MBA from Harvard Business School. With more than 30 years’ experience in operations, IT, product development, customer implementations, quality assurance and professional services to call upon, Brian Smith oversees all MERX and ASC operations related to the successful delivery of managed and hosted solutions that drive contract lifecycle management (CLM) and source-to-contract (S2C) process transformations for both SMEs and large enterprise. With expertise in buy-side, sell-side and enterprise-wide contract management and strategic sourcing best practices, Brian has been integral to the success of projects for many cross-industry customers such as Canada Post Corporation, Bell Canada, Enbridge, SNC-Lavalin, Enterprise Holdings, ADP, Vanguard Wealth Management, PETRONAS, LifeLock, Texas Tech, Western Canada Health Authorities and many other public and private sector customers. In addition to leading the operationalization of customers’ CLM and S2C solutions, Brian has direct experience managing contracts and solicitation services with his oversight on MERX and ASC contracts, agreements and procurement needs. Brian also had contracting, solicitation and supply chain responsibilities throughout his career having been in roles where he led and procured goods and services to ensure on-time and on-budget solution and product delivery. That experience included: Gridpoint Systems where Brian served as Board member, CTO and VP of R&D; Newbridge Networks (now Nokia) where as AVP of Service Management, Brian developed some of the first telecom service management products; and Syndesis Limited (now Subex Ltd.) where as Senior VP of R&D and Professional Services, Brian was instrumental in their global OSS vendor evolution. 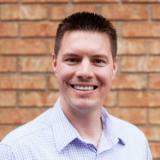 Brian holds a Bachelor of Science in Systems Engineering from the University of Waterloo. 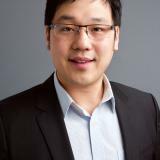 Wayne Chu is a specialist in social policy design, research, and innovation. He is currently working on inclusive economic growth strategies to build community wealth and reduce poverty. Currently, he is the Program Lead for AnchorTO, a collaboration of 18 public sector institutions developing and championing social procurement practices in the region. Wayne is also a Policy Development Officer in the City of Toronto's Social Development, Finance and Administration Division where he led the development of the City's Social Procurement Program. Patrick Doyle is regional vice president, strategic account management, American Express Global Business Travel (GBT) Canada. Since joining GBT in 1997, Doyle offers proficiency in all aspects of business travel account management having worked with both multinational and global clients for more than 15 years, servicing clients in over 20 countries. With a deep understanding of client needs and experience in navigating the constantly evolving travel policy landscape, Doyle regularly attends and contributes his expertise as a panelist and moderator at industry association events with ACTE and GBTA. Prior to his current position, Doyle has held various leadership roles with both the Global Payments and Corporate Quality Groups at American Express, and has a proven track record of leading programs that consistently demonstrate value to shareholders and stakeholders. Doyle holds a HBComm degree from Laurentian University with a minor in Sports Administration. DHL Global Forwarding (Canada) Inc.
Larry Mitchell is a professor of Supply Chain Management with Humber College in Toronto. 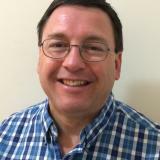 Larry spent over twenty years in industry working for an international carrier in the specialized movement of high value products and household goods (United Van Lines) and five years managing a centralized purchasing team responsible for over $100 M in logistics and supply chain services for a US Chemicals producer (Axiall). Larry holds industry certifications from the CITT and Materials Management Society and earned his MBA in 2014. Larry is currently working towards a doctorate in education. 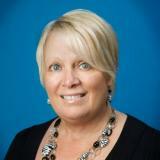 Diane has over 20 years of senior level executive sales and client services experience. 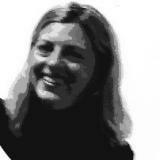 Prior to joining Ayming she held executive positions in both Finance and Business Development. She has dedicated her career to developing key strategic partnerships and delivering exceptional service, savings and profits to her clients. With a strong understanding of the financial needs of large organizations, Diane focuses on developing key partnerships and generating value across a broad range of industries.